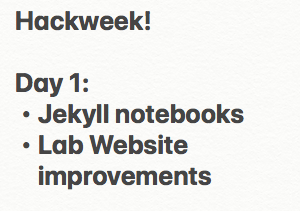 Tips and tricks for Jekyll notebook posts. Learned how to upload images NOT using a URL, which means that they will render even if I’m offline. Learned how to have multiple categories in a post.